A three-hour examination cannot judge your potential. With the 10th examinations around the bend there are a lot of students fighting off nervousness and anxiety. Thanks to the extreme hype about board exams, in the wake of poor performances, several youngsters sink into depression and even harbour suicidal tendencies. Poor grades become too heavy a burden, and children cave in to pressure. SSLC= Secondary School Leaving Certificate. No exam can ever test all your talents. The pressure to succeed is immense! A growing body of evidence suggests grades don’t predict success. Those nostalgic years of schooling are sufficient enough to shape the next sixty years of your life, they say. Well indeed. Children are completely influenced by the lessons, teachings, and knowledge garnered during the unforgettable school life. The most distinguishing feature of class 10 board exams is that they are the first state external exam for school goers. It’s that time of life when one undergoes turbulent hormonal and psychological changes, thereby marking the onset of youth. The thought of taking the board exams gives students nightmares. Taking the class 10 board exams is also an excellent litmus test that gives you a clear indication of where you stand as compared to not just your 29 classmates but class 10 students across the state. They are important in life but they are not your life. It is an accreditation. Board exams act as stepping stone for our good future. It is the "shock and shame" element of failure that drives the young to take their own lives. For these victims, the feeling of having let down their parents is equivalent to a betrayal and shows the flaws in the Education-exam-result System. A three-hour examination cannot judge your potential. If your dream destination is IIT- It has nothing to do with your class 10th marks. We lose too many talented people by defining intelligence through exams that are wholly inadequate and constricting. 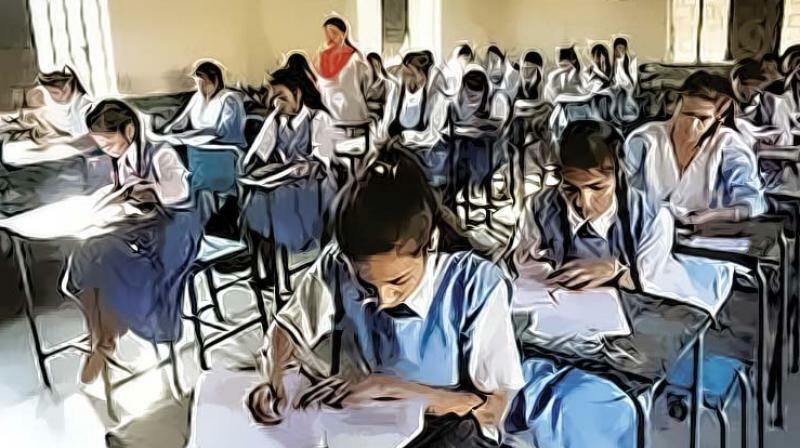 Indian school board exams are largely inappropriate for the ‘knowledge society’ of the 21st century. Schools should prepare students for the world of work. Students are not developing the attributes they need to succeed in life: schools must revamp the curriculum to focus on skills. 4- C’s”: to think critically – solve problems and draw sound decisions – as well as working creatively, and able to Communicate and Collaborate on a systematic basis are essential to succeed. Currently exam is a process of mental regurgitation! It simply reflects your ability to memorize the things. Take it easy. No academic exam has the power to end your opportunities. The only thing to be careful about: Don’t use “10th-grade results don’t matter” as a shield from doing the necessary work, developing the discipline required for studying, etc. Any percentage you get through honest efforts is fine. And 10th board results are as important as the stream you choose later. So, make a thoughtful decision about that.